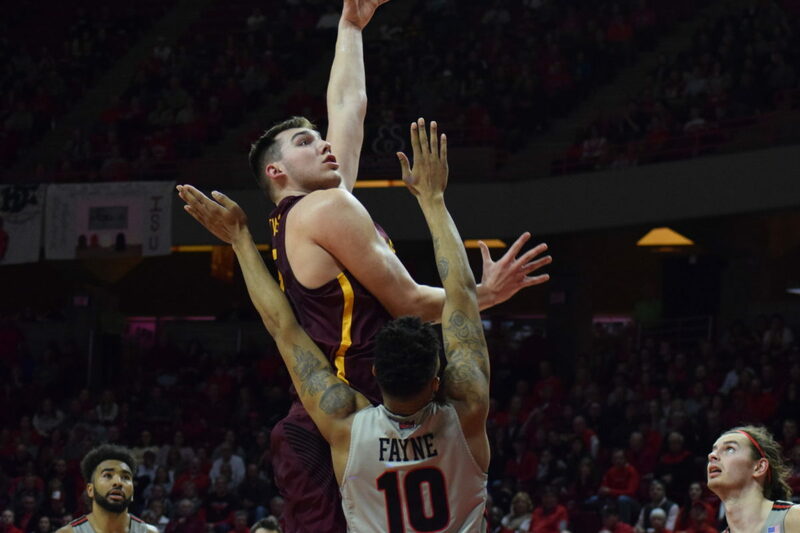 Nick Schultz | The Phoenix Loyola sophomore center Cameron Krutwig goes up for a shot against Illinois State Feb. 2. We’re in the home stretch, folks. In just over three weeks, the Missouri Valley Conference (MVC) will crown its regular-season champion ahead of the conference tournament. Who will it be? Great question. So Custer’s out of the picture. The Larry Bird Trophy will most likely go to a player on the league-champion team. Four of the last five winners have been on a team that either won the league outright or tied for first. This might be the rare case in which the winner might not be on the winning team, depending on where Loyola finishes in the standings. The Ramblers have two contenders for the award, which is what makes the debate tough. Allow me to make the answer clearer for you. Cameron Krutwig will be the MVC Player of the Year. Now, if you had asked me a week ago, I would have told you Marques Townes was a shoo-in. He’s had a great year, averaging 15.3 points per game overall and 18.1 in conference play. He’s also averaging a team-high 3.4 assists through 11 MVC games. But Krutwig’s turned a corner. Who thought the reigning MVC Freshman of the Year would get even better? The big fella’s averaging 14.5 points per game and 7.4 rebounds on the year, but he’s lighting up the MVC so far with 15.7 points, 7.4 rebounds and 3.1 assists per contest through 11 games. Also, how about that three-pointer against University of Northern Iowa? That’s the icing on the cake. 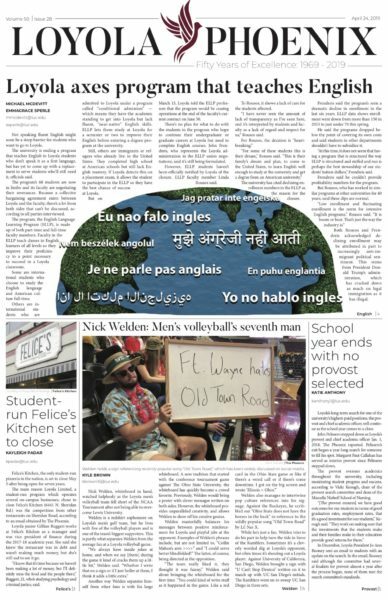 Last year, Krutwig was Phoenix editor-in-chief and former Sports editor Henry Redman’s pick for Freshman of the Year. Now, I’m continuing the legacy of picking him for a top award, and I’ll stand by that choice. It’s not as much the numbers that make Krutwig stand out, as it’s the fact that he’s the one putting them up. You wouldn’t expect a 6-foot-9-inch, 255-pound guy to rack up over three assists per game. “King Krut” is dangerous because when he gets double-teamed, he can make the key passes to create scoring opportunities. Name me another MVC big man who can do that. He’s a special talent — one that deserves the Larry Bird Trophy as a sophomore. 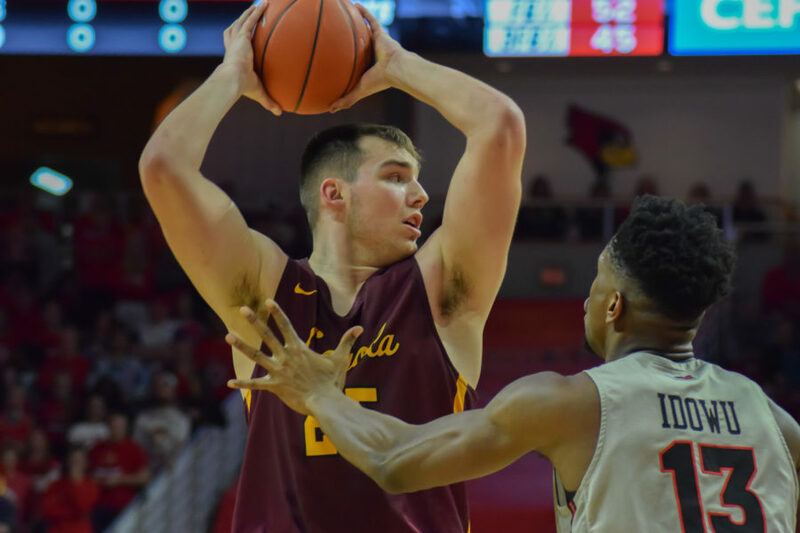 Nick Schultz | The Phoenix Loyola sophomore center Cameron Krutwig looks for an open teammate. Now, he’ll most certainly be challenged by someone other than Townes. Illinois State University’s Milik Yarbrough and Drake University’s Nick McGlynn will also be in the running for the award. Yarbrough took the league by storm last season after transferring from Saint Louis University, winning MVC Newcomer of the Year. He’s averaging a league-best 17.2 points per game and is sure to get NBA looks for the second year in a row. If he leads Illinois State to a league title, he’d probably have the edge over Krutwig. McGlynn, whose 15.7 points per game ranks fourth in the MVC, has had a breakout year. 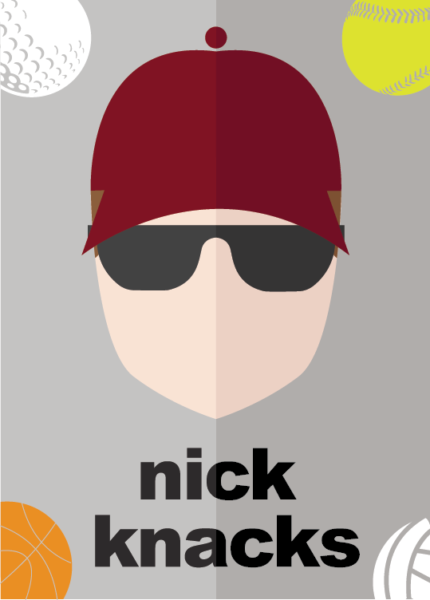 After Drake lost Reed Timmer to graduation, it wasn’t clear who would step up and lead the way. McGlynn has filled that role and done even more, meaning he could be hoisting the trophy at the end-of-the-year banquet if the Bulldogs manage to finish first. The caveat with both Yarbrough and McGlynn is their respective team would have to win the conference to take home the award. 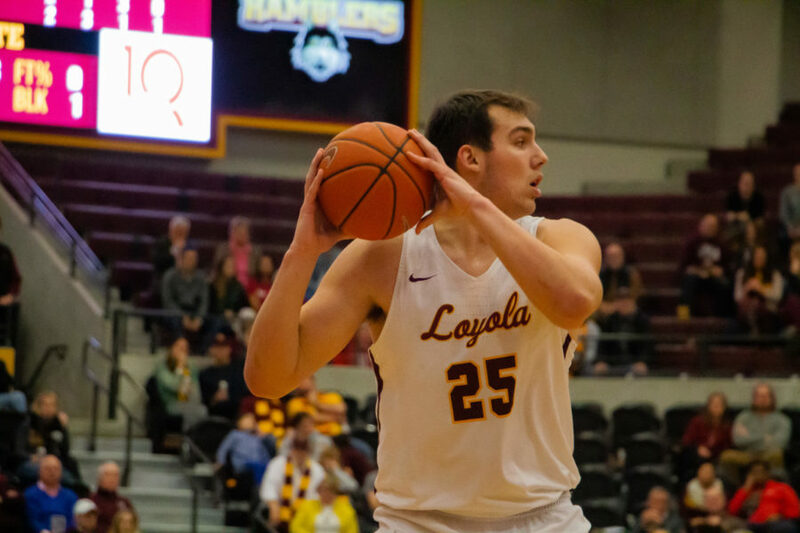 In Krutwig’s case, his talents could carry him to the top even if Loyola falls short of the crown. Krutwig’s taken a big leap from last year. Just think about how good he’ll be when he’s a senior and has spent more time in Porter Moser’s system. lessens your house borders so when an effect increases payout.